← Friday Funny 200: I love anime and android girls! Link back to the original post here(so I can compare your crews to mine). To make things more fun, I won’t be using any One Piece characters for this challenge. If you don’t know, One Piece is an anime about pirates. There are nine roles in this tag post, but the rules says I can choose seven out of it. I am going to try and fill all nine. I am a pirate and I am here to break the rules, because I am Captain Matt-in-the-hat! Out of all the warriors or tough characters in anime, I think Jotaro will fit in my crew. Jotaro is a tough guy who never loses his cool. With his stand, Star Platinum, he can unleash super fast flurry of punches on his enemies. Star Platinum has super fast reflexes that he can even defend from gun shots. Even without a stand, Jotaro can still beat up people and solve his problems with his fist. I need someone who can stay calm and fight his way in a situation. In my crew, I am going to need someone who can shoot fast and accurate. I pick Jigen from the Lupin series. 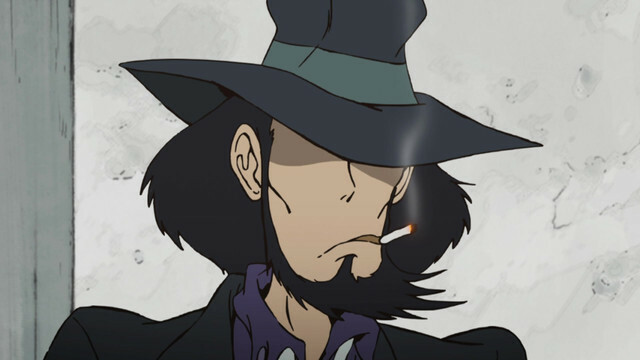 Jigen is Lupin’s friend and partner when stealing valuable items and he is kick on his revolver. He is pretty serious in his mission and doesn’t play around like Lupin. Technically he is from a video game, but he is also in the anime spinoff! I pick Ignis to be my cook. 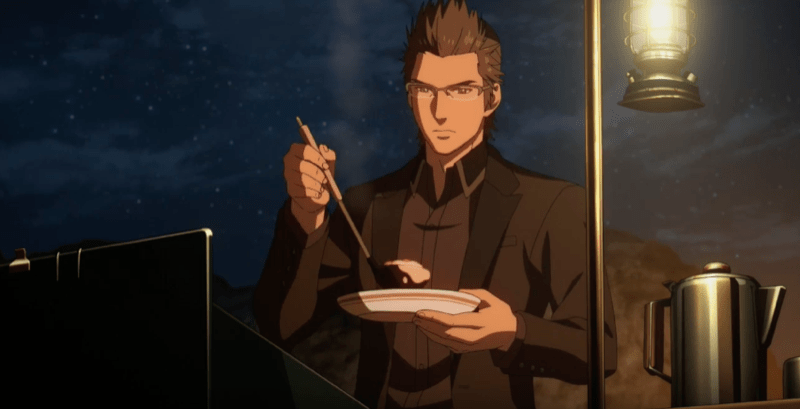 Besides him saying “I come up with a new recipeh” every time he finds an ingredient, Ignis has no problem cooking any dish. He is not far from his kitchen especially when camping. When he is not cooking, he is equipped with some magical daggers that can pinpoint any enemies weakness and even pierce down on anyone with his lance. Ignis is one man who can fight and stay sharp and well-mannered in the kitchen. Give this guy an Ebony drink. I choose Orhime for this position. Orihime not only has the ability to heal, but also reject the phenomena of matter. Simply put, she can reverse things to the point it never happened. She did this on Grimmjow’s arm whenit got cut off. She can also create barriers as shields to protect her friends and even heal at the same time. She is worthy for my crew. What’s better than a scientist? A scientist who is rich. Bulma will make an excellent crew member. With her owning the Capsule Corporation, she can use her vast amount of money to help our gear. She can use her capsules and contain big objects. She can even make a radar to find the dragon balls. I need someone who can make something in flash. I choose Kirito to be the navigator. I pick him since I feel like he would be a guy who got more experience traveling. As a solo player in the anime, he doesn’t have to worry to about exploring in his leisure and he knows about a dungeon having traps. With his sensory skills, he could help us detect hidden areas and explore uncharted areas. I was going to pick Shikamaru because he’s intelligent, but I feel like Kakashi is smart like him, but with more fire power. Kakashi is a very smart ninja and with the Sharingan, he can copy moves from his enemies and use it against them. He may be small, but don’t let size deceive you. With the power of alchemy, Edward can transform objects into anything without needing a transmutation circle. He can even use his mechanical arm as a blade. I need a crew member to fix and update our ship in a instant. Sometimes we just need to play a game to ease away the tension. 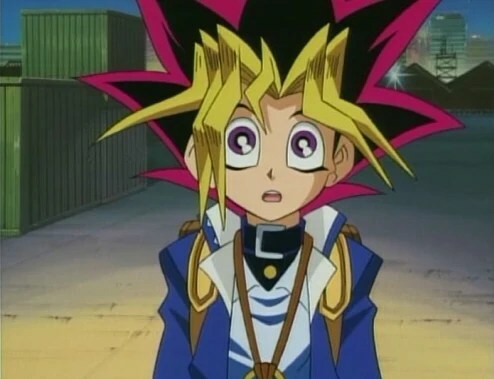 I pick Yugi as my entertainer. I am always entertained when watching duel in the anime. If my crew wants to play a card game and battle each other in duel monsters, we should see if we can take down the king of games. Playing a card game will also help us think ahead and improve our fighting skills when fighting. Are you sea dogs ready to set sail and share your crew post to the world. Are willing to challenge me? Come at me, I will be ready for a duel. Please be sure to visit Melinanimeland’s blog and check out her post. Aw, thanks for the nomination! That’s a pretty good crew you got there!